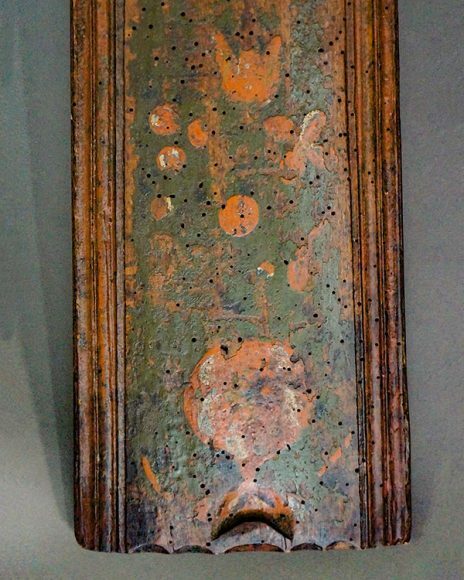 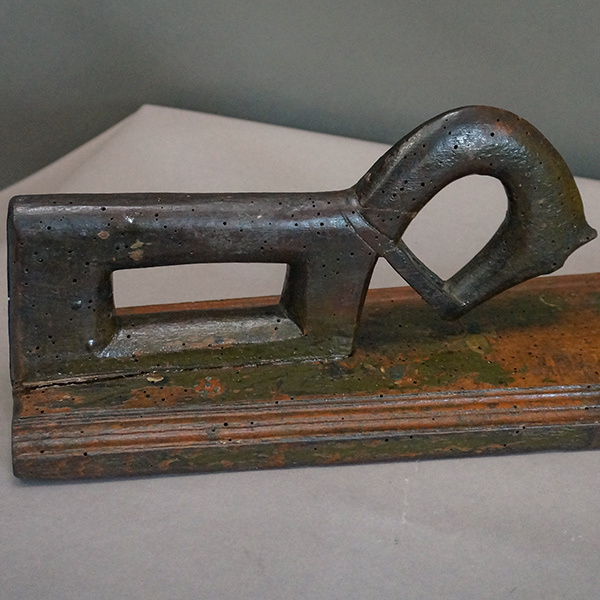 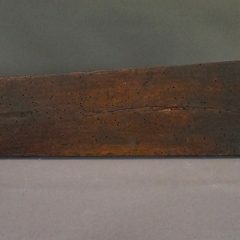 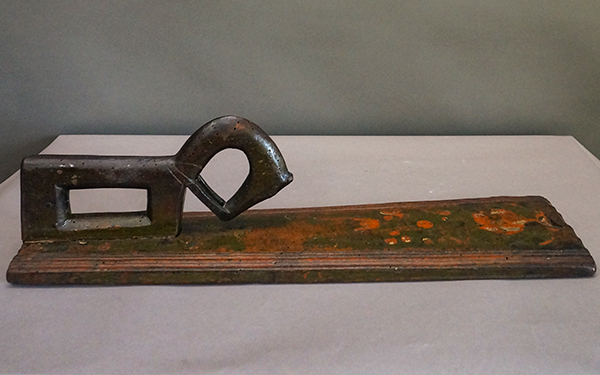 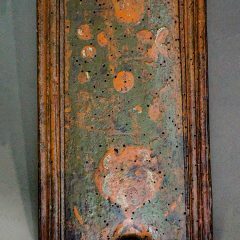 Mangle board, Sweden circa 1820, with horse handle and painted decoration. 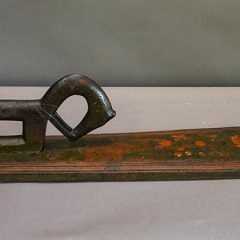 The horse is carved with articulated reins and an exaggerated curve to his neck. The board is painted with flowers and a pear tree in red, white, and gold over a worn green ground. 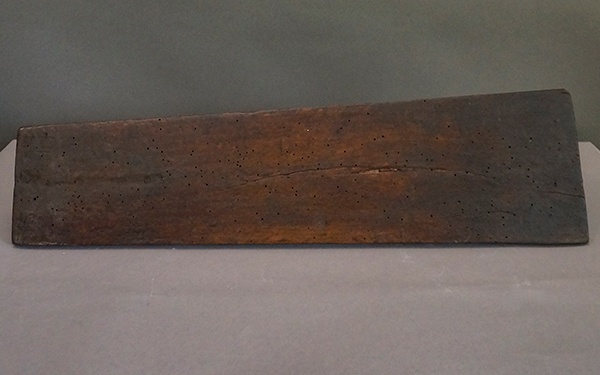 The board itself features a quite rare thumb notch at the end to make its use easier.